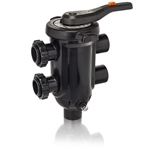 Filter Backwash Valves diverter valves and check valves for Jandy, Hayward, Pentair pool filters and pool lines. Full line of all manufactures valves. Exclusively designed to fit Hayward® ProGrid and DEP 500 Series D.E. filters.